My, my, my. I have missed posting on here. The past month has been CrAzY. Finals. Job interviews. Moving out. Graduation. More interviews. Settling back at home. Got hired (bonus!). Apartment hunting. And now getting ready to move/furnish my new apartment. I'm ready for a vacation. But, in the meantime I'll continue to share the rest of the wonderful photos and experiences from my last travel adventure in Las Vegas. Yeah, it may be a month and a half late. But, who's keeping track? 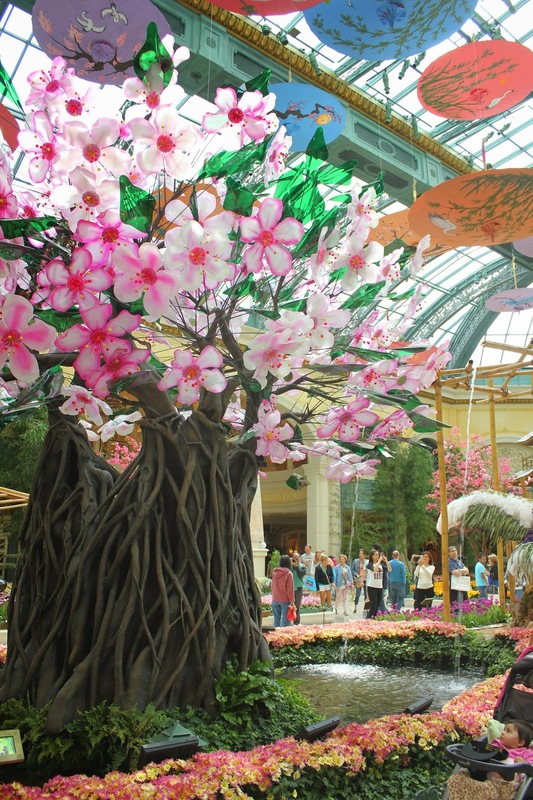 Which brings us to the beautiful Bellagio and Wynn hotels!! 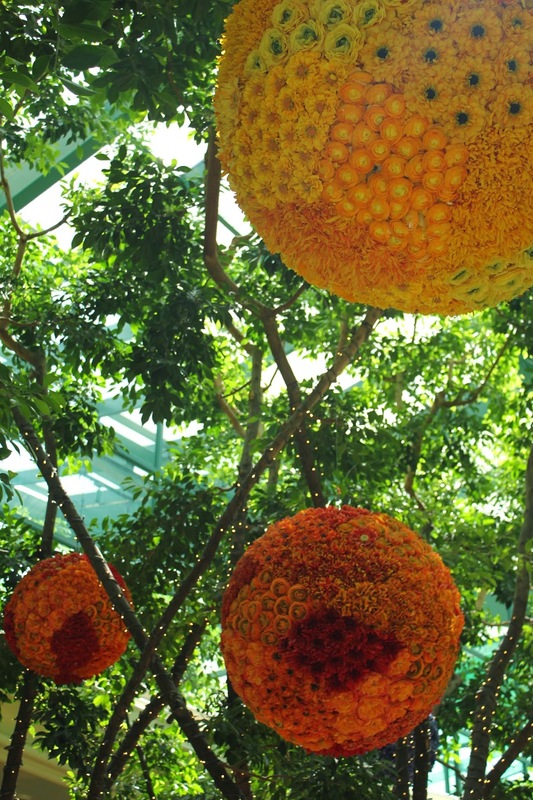 Pinch this flower lover, because both of these hotels have floral displays that are just plain AMAZEBALLS. There's really no regular word to describe them (and that was more fun to read - don't deny it). 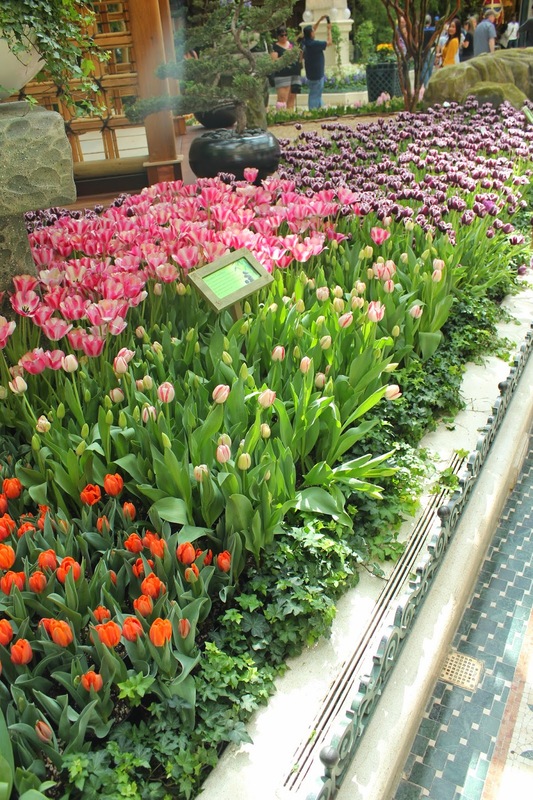 Let us start with the first stop of the day - The Wynn. FLOWER. BALLS. How fun is that?!?!?! In various colors featuring different flower types, I've gotta say its pretty darn creative/cool looking/makes me want some for my apartment. Yes, you are seeing things correctly. 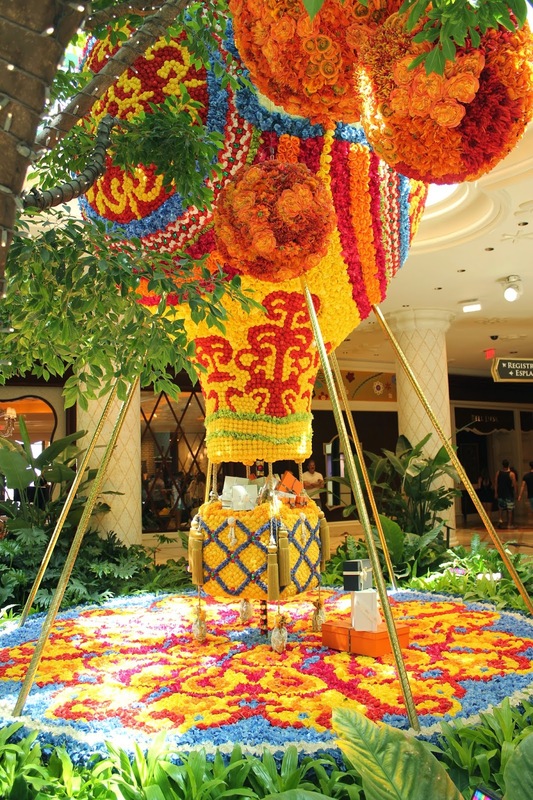 That is a mini hot air balloon created completely with flowers. While I'd love to light this baby up and float away into the sunset... probably not recommended. So, we just admire the beauty instead. I'll have a gin and tonic, please. Note: These unique lamps would lower and then rise back up to the ceiling again slowly!! Imagine these huge lamps like a yoyo that retracted super slow, all moving at different times. Yep, guilty of stopping and staring like a 5-year-old. My real life goal is just to be Jasmine and let Aladdin fly me around the world on our magic carpet. And that turquoise two-piece suit she sports all the time... can you say trendy? Bravo Disney for inspiring us all as usual. Needless to say, The Wynn's display did not disappoint. I have so many up-close flower shots from this day that turned out absolutely stunning! AKA computer and phone backgrounds for life. Before heading into the Conservatory area, check out the overhead look of the check-in area. I mean.... how do people focus at that desk?? 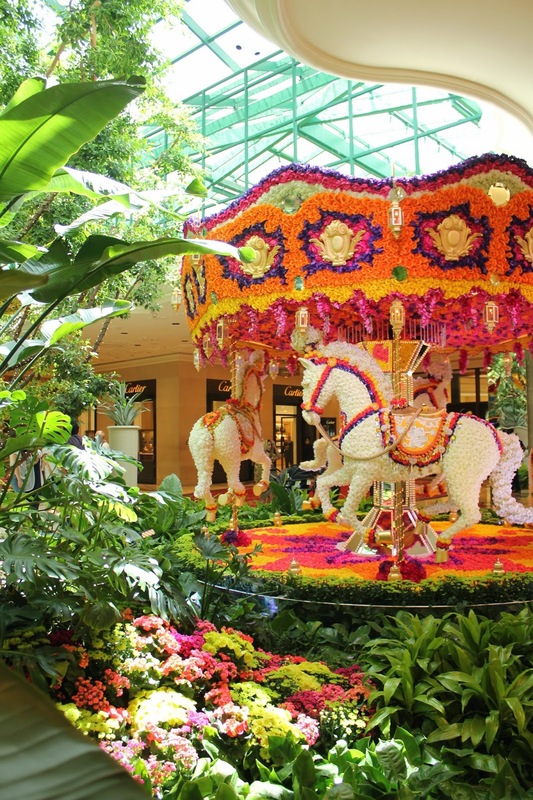 Depending on which time of the year you visit, The Bellagio changes the theme in the Conservatory to coincide with the time of year and the flowers that are in season. 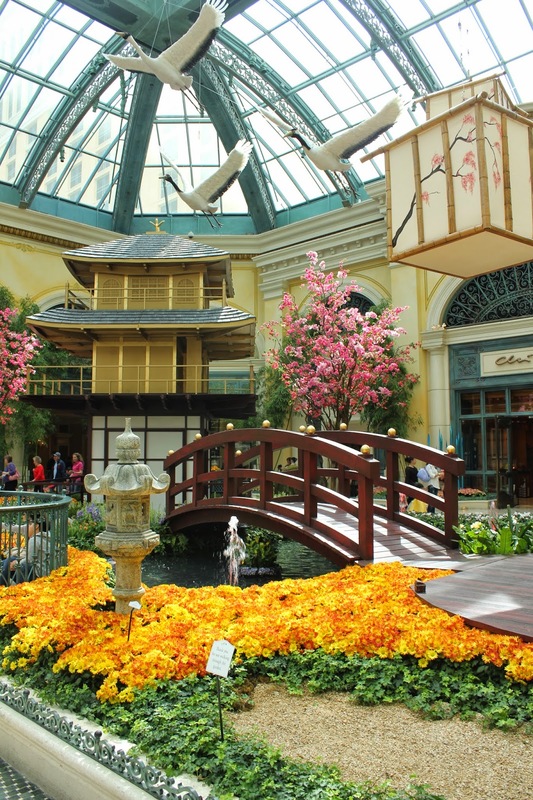 During the spring (I was here toward the beginning of April) they had this Japanese inspired garden for everyone! Ello, there sir. Notice that flower design on the shell! I fell in love with the overhead flower hangers! They just looked so majestic and delicate. 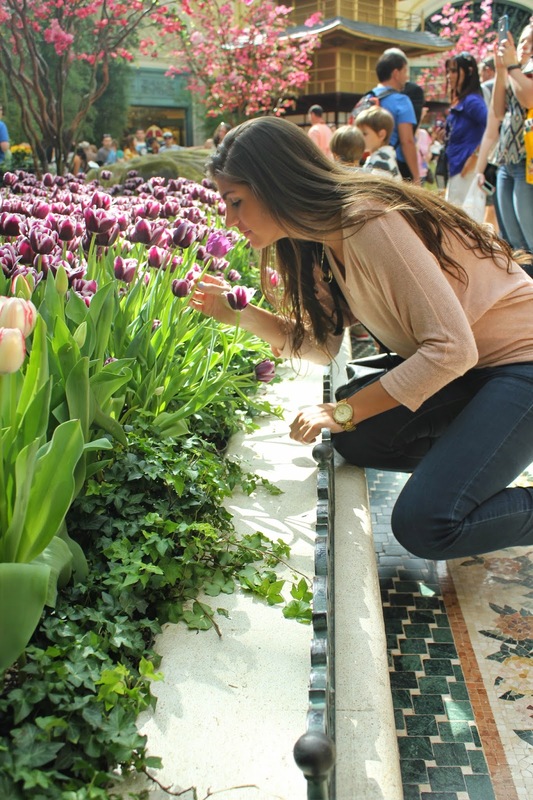 This was probably only about 1/8 of the tulips in the garden area (and there were about four or five other hues!)! And that concludes the flower tour day of my Las Vegas visit. Probably one of my favorite days of the trip - we started with a delicious brunch at The Paris' Mon Ami Gabi restaurant. But, nothing compared to our day trip to the Grand Canyon (we hadn't visited since about 8 years ago)! Check back tomorrow for a full list of tips, tricks and more for when visiting the Grand Canyon - especially my packing list! Hope all you readers have a wonderful day! Cheers to it almost being the holiday weekend! !